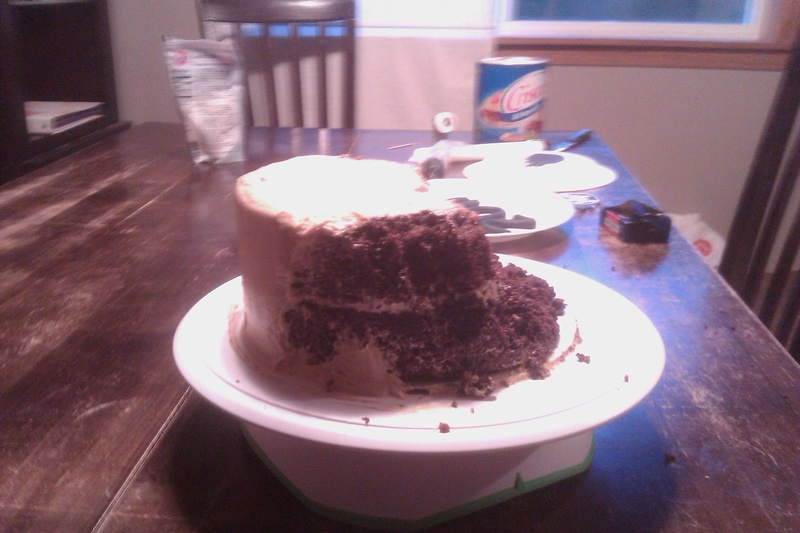 After my dog ate half of the cake I made, I started over from scratch and whipped this up in one evening! May 2011: This yummy chocolate peanut butter cup cake (round 2) was decorated for a 2011 graduate of Holy Family Catholic High School in Victoria MN. I heard it was a hit! 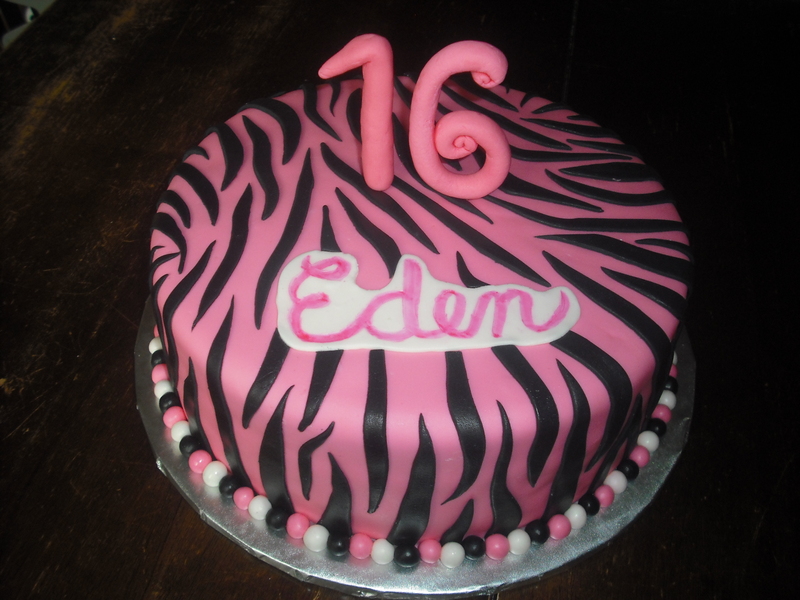 May 2011: A fun, bright pink zebra cake for a sweet 16 birthday party! April 2011: These Star Wars cupcakes were made for a co-worker’s son. Check out Luke Skywalker, Han Solo and Leia, C3PO, R2D2, Chewbacca, Yoda and Darth Vader! That same weekend my nephew had a party at Skateland, so I threw together some yummy cupcakes for him too! Lucy’s 5th Bowling Birthday Bash! April 2011: My Lu decided that she wanted a bowling birthday party. She had never been bowling in her life, but if that’s what she wanted… 🙂 We kept the cake fun and girly with a birthday STRIKE!! on top! 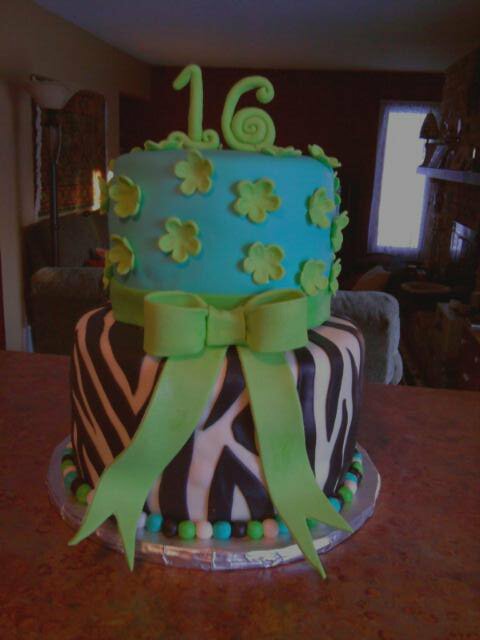 January 2011: My cousin Rebekka designed this cake herself for her 16th birthday. I just took her design and made it a reality! It was lemon raspberry on the top and chocolate with buttercream on the bottom. YUM!